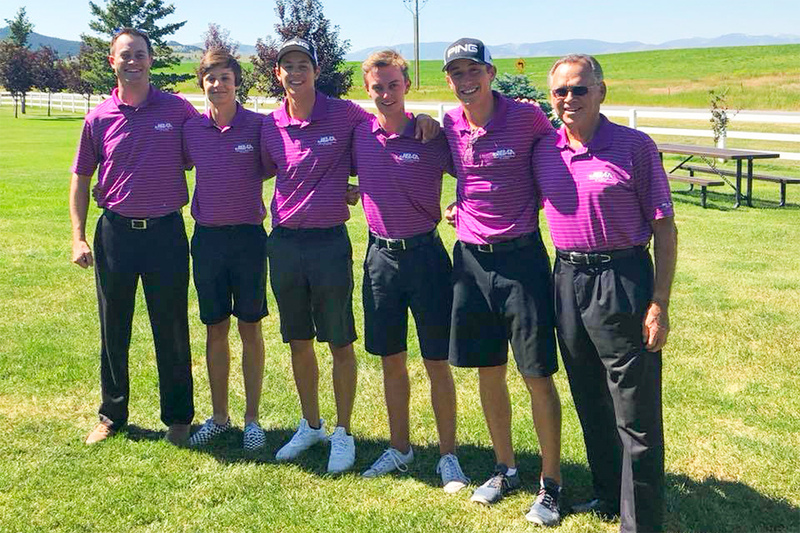 Team Colorado won the 46th Annual Junior America’s Cup being held at Fairmont Hot Springs Resort Golf Course, hosted by the Montana State Golf Association. Team Arizona finished in 4th place (626 team total), only 4 strokes behind team champion Colorado (622). Tony Hendricks finished 8th individually after firing a final round 6-under par 66 (74-70-66=210). His final round 66 included seven birdies and an eagle. Blake Lorenz shot a final round 4-under par 68, to finish tied for 14 individually (70-74-68=212, 4-under par). Hayden Sayre (66-73-74) and Ben Lorenz (69-70-74) also were under par for the championship, as both finished at 213 (3-under), tied for 17th. Colorado, represented by Dillon Stewart, Cal McCoy, Davis Bryant and Walker Franklin, shot a final round team score of 7-under par 209 to finish the Championship at 26-under par overall as a team (622). Team Mexico finished 1-stroke back at 25-under (623) after shooting a final round 3-under par, 213 team score. Utah finished 3rd at 23-under (625) three strokes back. Colorado began the day in 3rd place, three strokes behind Mexico which held the lead after 2 rounds. Leading the comeback charge was medalist Dillon Stewart of Colorado, as he fired a final round 68, for a 16-under tournament total (64-68-68=200). Team Mexico, who finished 2nd as a team at 25-under 623, was led by Alejandro Madariaga, who finished 2nd individually at 14-under par (68-65-69=202). Utah finished 3rd as a team, 3 strokes back at 23-under 625. Utah’s Zachary Jones finished 3rd individually 66-63-74=203, 13-under par. 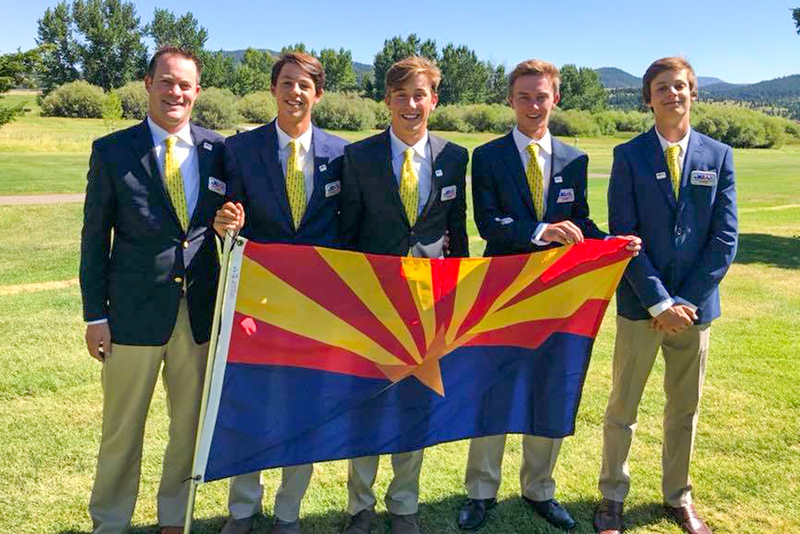 Like a collegiate event, the Junior America’s Cup features 18 teams of four boys representing their state, province or country. The competition takes place over 3 days with 18-holes played each day for a total of 54-holes played to determine the winning team. Each team counts its best three scores each round with the low scoring team after 54-holes being crowned the 2018 champions and presented with the champions medals & trophy. Past Junior America’s Cup participants who have gone on to successful professional careers include Tiger Woods, Phil Mickelson, Fred Couples, Corey Pavin, Rickie Fowler and local PGA Tour members Ryan Moore, Kyle Stanley, Alex Prugh, Joel Dahmen and Tony Finau. For a list of the players in the Championship and complete first round scores, please visit www.junioramericascup.net.